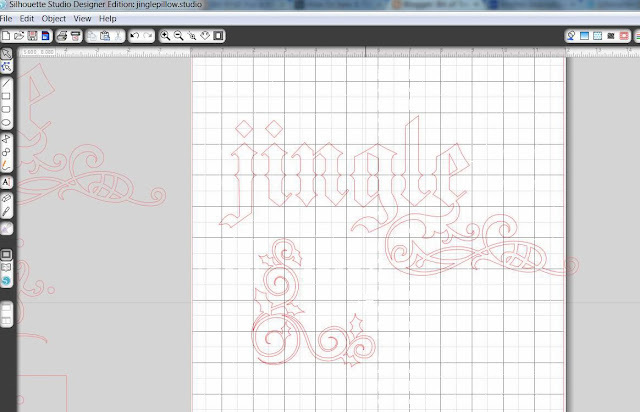 Using a font called Medici Text, I wrote out the word, "jingle." 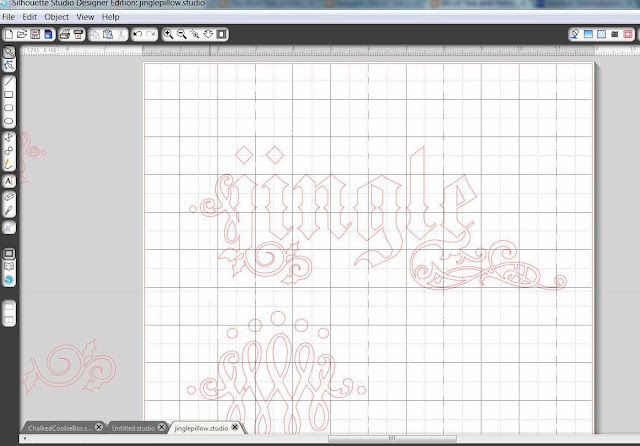 Then I took three flourishes - Echo Park Flourish, Holly Corner & Vintage Style Flourish Motif. With the Echo Park Flourish, I just rotated it so that it was on its side as above, brought it up to the "e," and welded. 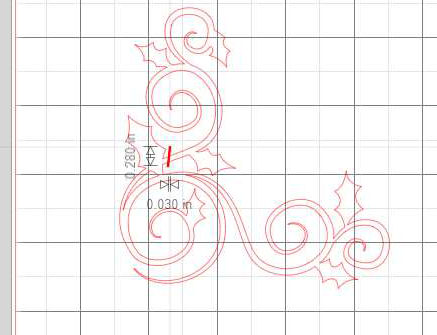 I took the Holly Corner and made a cut, deleting away the part I didn't want. 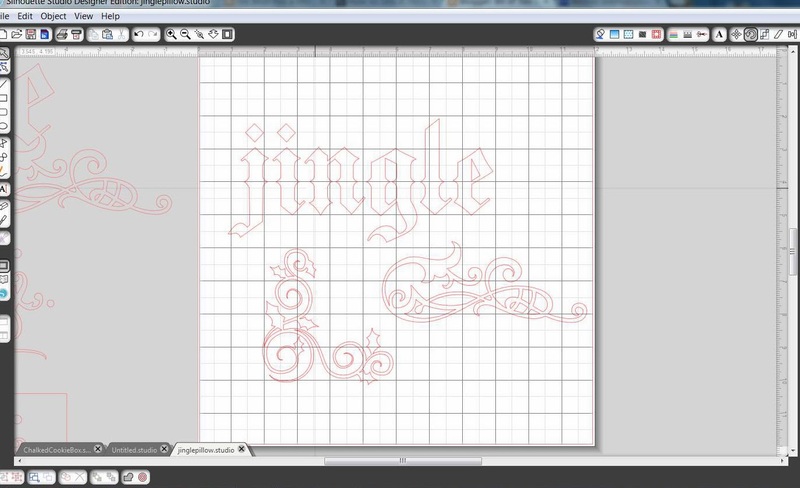 Then rotated the piece and brought it to the bottom of the "J." 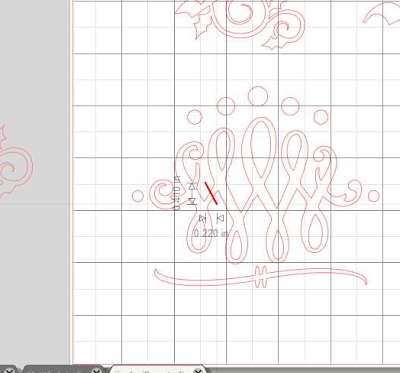 Then I cut a piece of the Vintage Flourish off and brought it to the "J." I made it smaller, selected the two flourishes and the "J" and welded. That done, I moved onto the pillow itself. I looked everywhere for a pillow form that was the right size, but didn't find anything until I was in Target and stumbled upon a Christmas pillow that was perfect. So I decided to cover it! The pillow measured 11" x 18". 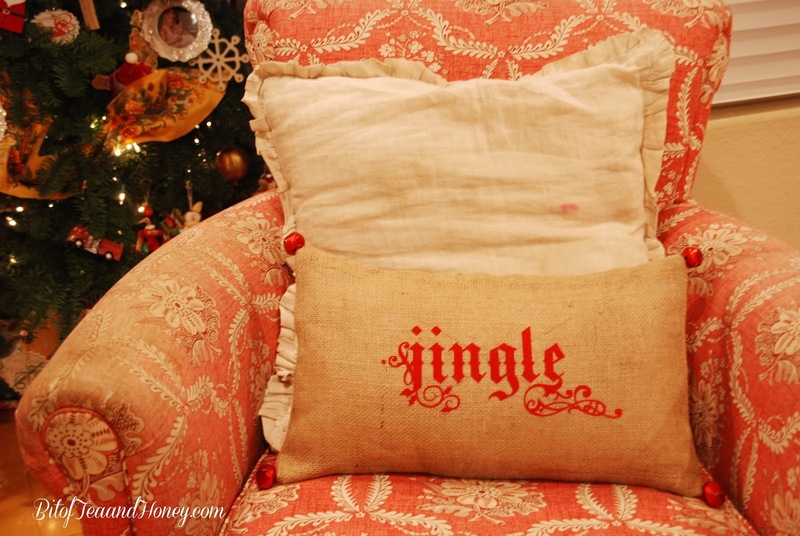 So, using one of my all-time favorite pillow tutorials, I made a cover out of burlap. Using the guidelines of the tutorial, my front piece was cut out at 19" x 12", and my back pieces were 12" x 12" each. 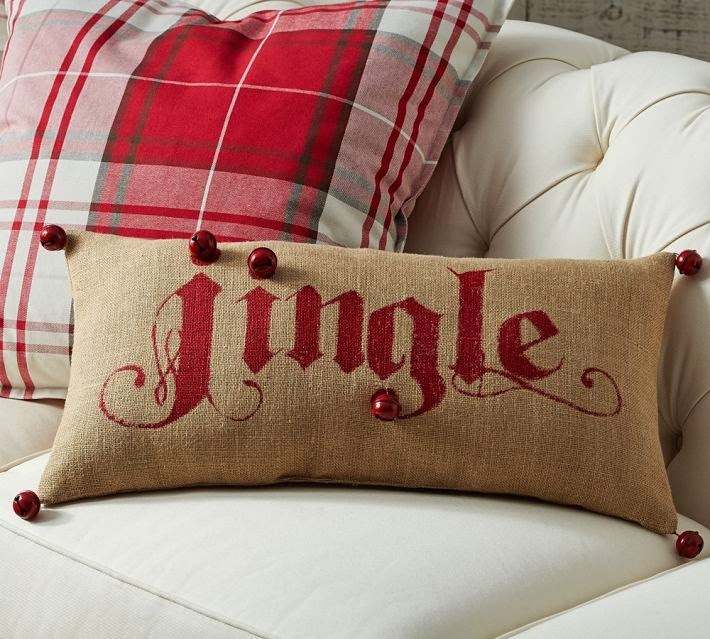 Before sewing them together, I wanted to add the "jingle" words to the largest piece. Now for the easy part! Or so I thought...dun dun dun... My initial idea was that I would use stencil vinyl to stencil this on the pillow. Which I did try. But the stencil had to be small enough to fit onto the pillow, so it bled into the fabric, and getting it on straight was a nightmare and the kids needed to have dinner and I lost the center of the "e" and it looked terrible. Sigh. 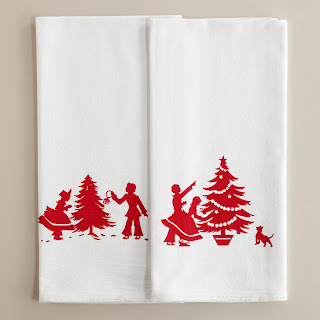 So plan B: I used heat-transfer vinyl (which I handily had on hand from my napkin project!). I sized it in Silhouette studio, then cut it out of flocked vinyl, weeded it and ironed it on! Then I put all of the pillow pieces right sides together and sewed. Finally, I added bells with embroidery thread. And...yay! Another Christmas craft project off the table! In retrospect, I would like to have made the design bigger. But then, I would also liked to have made the stenciling work! Actually, making the design bigger might make stenciling easier...Hmmm...Upwards, and onwards, crafters! Jingle Bells and Merry Christmas! Holiday Flour Sack Kitchen Towels, Set of 2. ...And I ran right home knowing what I could make! World Market also sells sets of 6 white napkins for $9.99, so I bought a set, took some of my favorite Silhouette files, cut them out of flocked heat transfer, and voila! Christmas napkins! I formatted each file so that it measured 3.5" across (I locked the aspect ratio). And I am so pleased. These were sooo easy to whip up and would be a great gift, as well, don't you think? 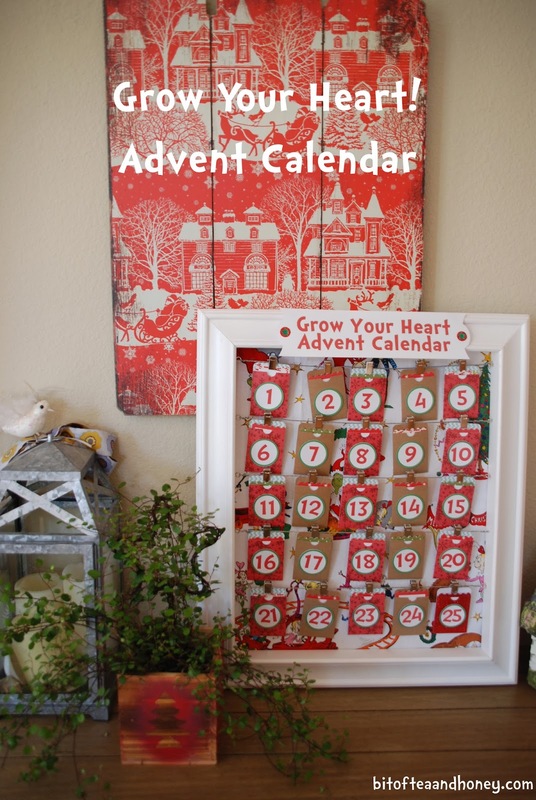 This fall I was chatting with friends about advent calendars. A few have those cute little boxes where doors open to reveal little presents. I had been eyeing the Silhouette Advent Calendar for a year. 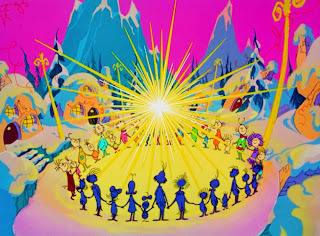 But, we all asked each other, what can we do instead of 25 days of presents and candy?! Then my lovely friend Kate gave me an idea she had seen in Yum for Kids! magazine: a Grow Your Heart advent! 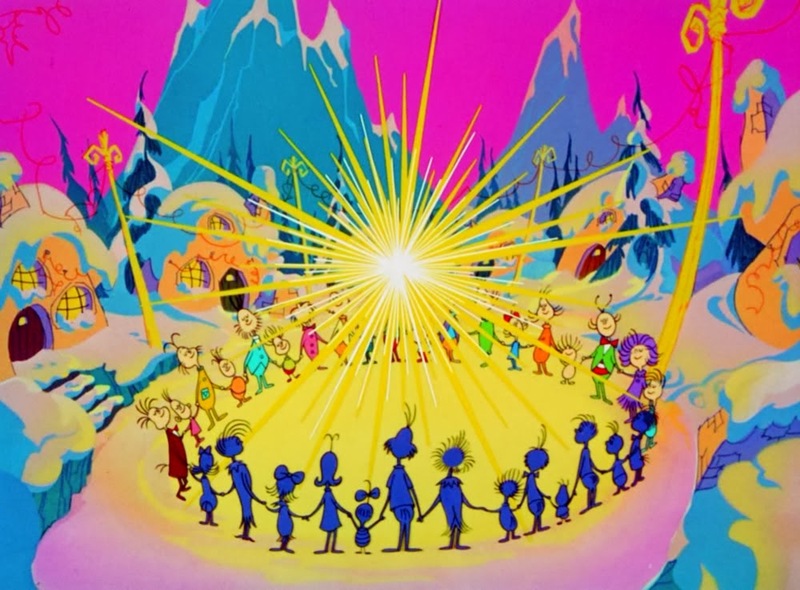 The Grinch grew his heart in The Grinch Who Stole Christmas, and so I hoped we could remember that the holidays are about something more. 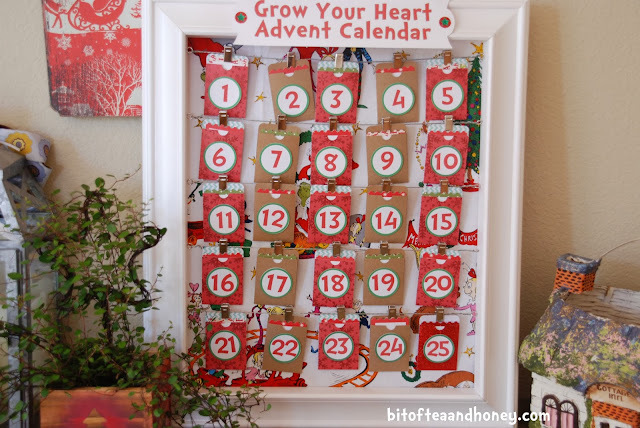 Taking ideas from the article, I got my advent calendar from Silhouette and set about making tickets for the days of advent. First, I lined the back of the frame with Grinch fabric. Then, for each day, the kids slide out a ticket and it reveals a good deed or festive activity for the day. "Tell someone in your family you love them, read someone a book, give your brother/sister a complement today..."
No presents, no candy, and we get to read The Grinch Who Stole Christmas more! We all win! 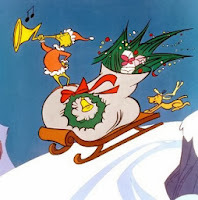 Wishing you and yours lots of Who-like fa-hoo forays and a very Merry Christmas!! It's the most wonderful time of the year! I sooo love the Christmas season. 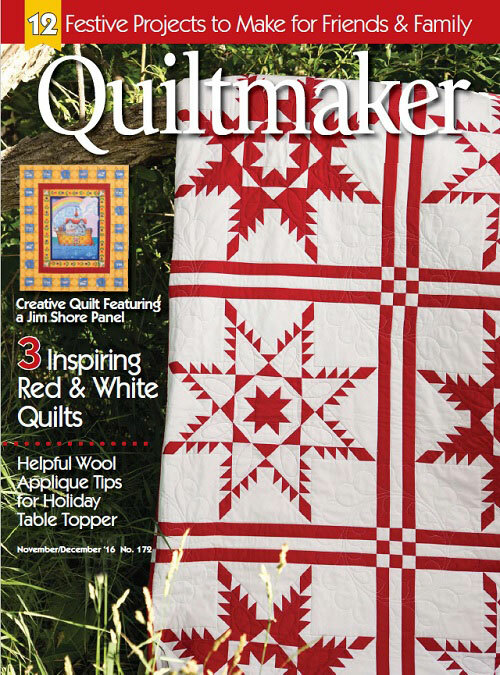 It is always a flurry of ideas about decor, crafts, and cooking - I never seem to get through all of my creation dreams. But I am determined to post at least the stuff I actually do end up making...! And first is my 12 Days of Christmas ornaments. 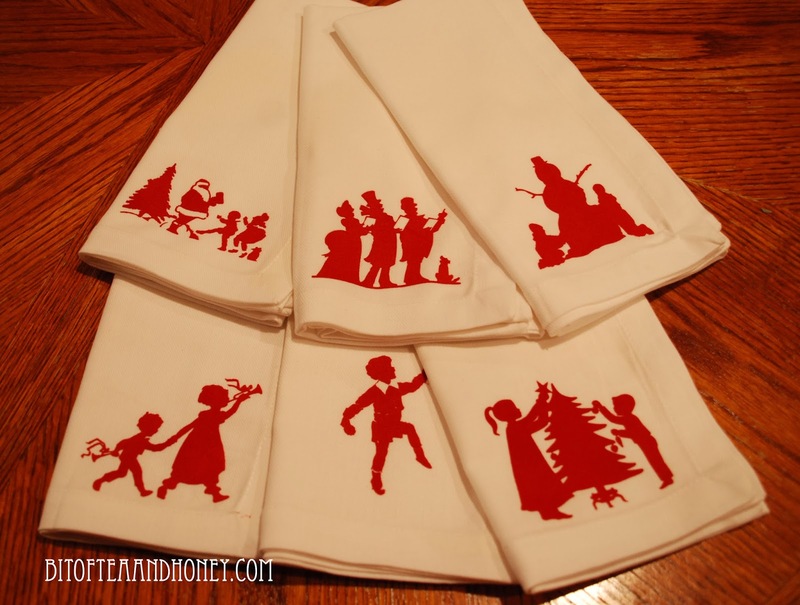 Using just a few shapes from the Silhouette online store, these came together quickly, and are a great gift idea. 3" circles - I cut these out of music pages. 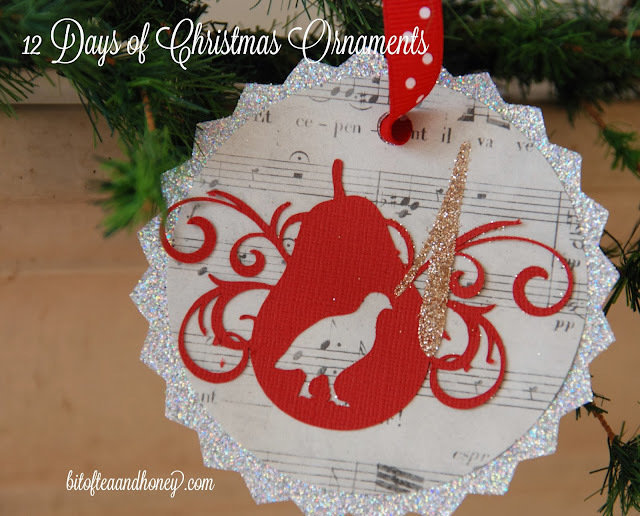 I didn't have the 12 Days of Christmas on hand, but how cute would that be? 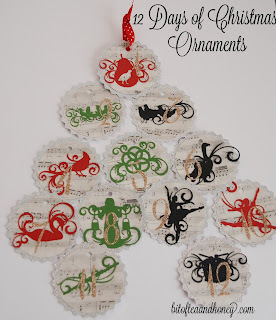 Then using the 12 Days of Christmas shapes, I cut four out of red paper, four out of green, and four out of black. Since these are intricate cuts, I double cut them, and it really helped. The shapes vary by size, so I had to size them to make sure they each fit (mostly) onto the 3" circles. Then, using Coneria Script font, I cut numbers out of double-sided adhesive. Then it was just a matter of layering. And getting big sister to help me with glittering the numbers. Merry Christmas and happy crafting everyone!